Why Credit Cards Still Offer Promise Despite Modi’s Digital Hype ? In an era of Modi Government’s Digital India, new companies are unable to offer any new service but are looking to make it simpler and importantly, more relevant for consumers as the broad perception is that banking is a relatively complex business and the user experience/interface is far from satisfactory. Banks are defending their business as they have better data of their consumer, brand or customer trust and a large distribution network. Digital acceptance of payment is not too high as >90% of transactions still move by cash. The extinction of the credit card business is unlikely in the medium term. The value proposition of the card would still be appealing to the consumer, especially on loyalty points and credit period offered. Cards are migrating quite well and keeping pace with the emerging changes. 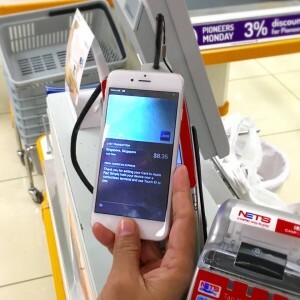 As compared to the earlier format of being on top of a physical wallet, the latest would be to be on the top of merchant’s website and today it is stored on a phone (Alipay, Apple Pay or Android Pay). Consumers have changed the method of usage but the card is as active as before. As compared to a wallet business, cards face one big challenge as the analytics is mostly available at the bank level. While this benefits banks in a very big way, it is less attractive for other players, especially the merchant as his understanding of the consumer is far lower. While the opportunity is fairly high as India is just on the cusp of a major transformation in payments, there are some unique challenges for India. Payment banks is a very long-term play as margins are extremely low, consumers are extremely reluctant to pay for services as these are viewed as zero costs when offered as a bundle. The ability to bring down costs in payment processing is challenging because the margins at the processing end is quite thin (0.1% to 0.15%) and card issuers, who take a large share of the margins [2% to 3%], are still not convinced that the adoption would significantly increase by reducing the MDR (Merchant Discount Rates). Also, low tax compliance favors higher cash transactions as digital payments leaves footprints. This entry was posted on Wednesday, May 25th, 2016 at 12:08 pm	and is filed under Data / Analytics.